This is a rectangular Railroad Crossing porcelain sign. This particular Railroad Crossing sign is red with white text. 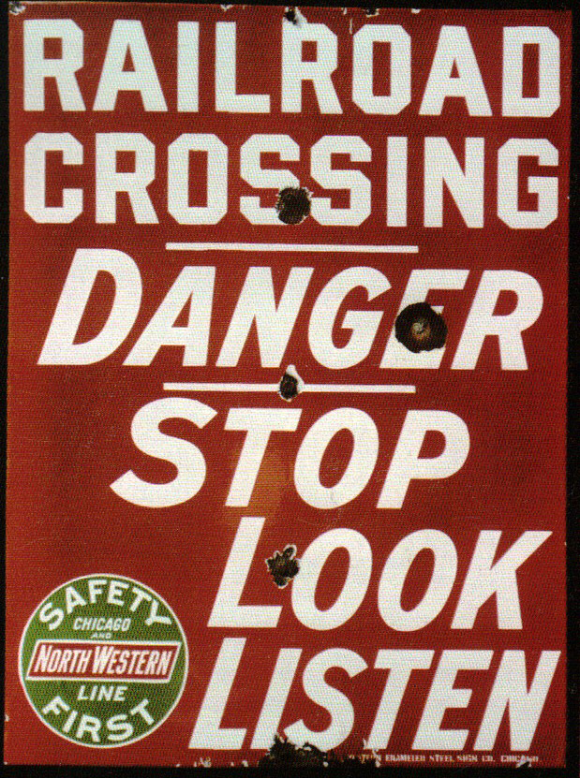 It reads, “Railroad Crossing, Danger, Stop, Look, Listen, Safety First, Chicago and North Western Line” and features a green emblem in the lower left corner of the sign.